Those with deep pockets often feel the urge to splash a large amount of cash on something particularly special; the Stormforce Prism deserves every letter of that definition, with a GTX 1080Ti providing the graphics horsepower and an AMD Ryzen ThreadRipper 1950x CPU to coordinate everything. 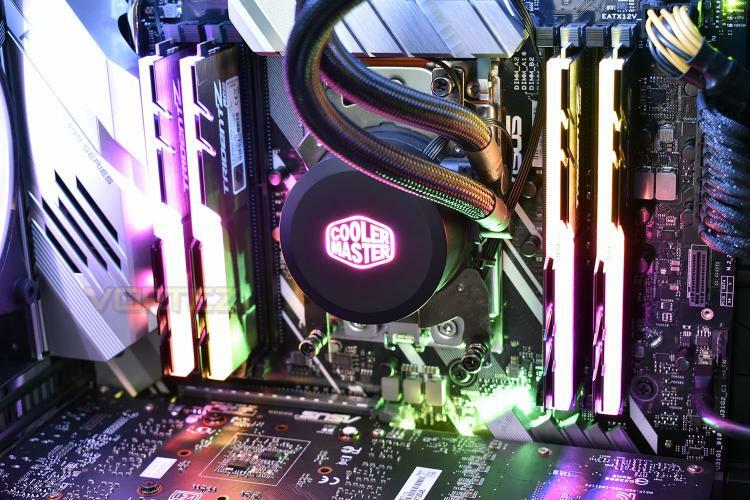 Not only that, there’s also a 512GB Western Digital Black NVMe SSD, 32GB of G.SKILL RGB RAM, a closed loop Cooler Master RGB CPU heatsink, fully-featured motherboard, Wireless add in card and much more. The Prism offers anything you could need for gaming, video editing or professional streaming. The Prism arrives with a truly impressive roster of components, but perhaps the most impressive feature is the case. The Cooler Master C700P is a monster and should be more than capable of keeping everything cool and quiet. If you’ve got a wallet bulging with cash and need a machine to spend that money on, this could very well be it. Read on to find how it performs in our tests. Built from the ground up to perform, Stormforce proudly introduces the “Prism TR 1950X GTX 1080Ti”. Armed to the teeth and packing heat, this is serious business re-defined. Equipped with an AMD Threadripper 1950X running at 4.00GHz, sporting 16 cores to obliterate any task at hand. Paired with 32GB of 3000MHz RGB DDR4 memory, the “Prism TR 1950X GTX 1080Ti” will decimate your idea of speed.